Tulihal Airport in Imphal is finally set to debut on International Aviation map on November 21, more precisely at 9:30 am, when Golden Myanmar Airlines aircraft from Myanmar makes it maiden landing at the airport, coinciding with the inaugural event of Manipur Sangai Tourism Festival 2013 on the same day. 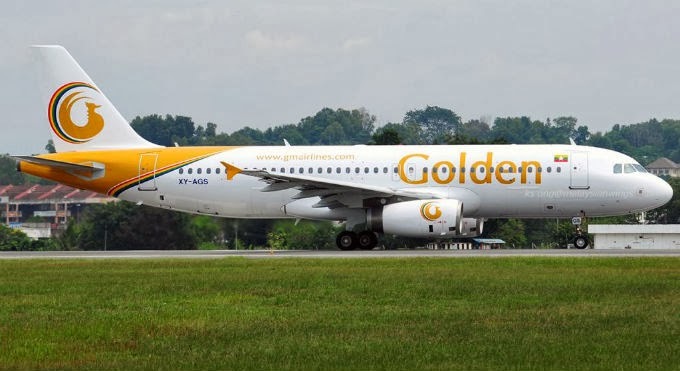 The passengers of Golden Myanmar's first flight to Manipur would include Chief Ministers of Myanmar’s Saigang and Mandalay divisions as well as Meitei diaspora and media persons from the neighbouring country. According to a local media report, the state Chief Minister O Ibobi, along with the visiting two Myanmarese Chief Ministers would then head for Dibugarh to attend the North East Business Summit on November 22. "We are already in a dialogue with (private Indian airline) Indigo to start a service between Tulihal and Yangon," Principal Secretary (Commerce and Industries) O. Nabakishore Singh told IANS. Indigo was, however, yet to respond. A round trip for Imphal-Mandalay flights is estimated to cost around Rs 11,500.